Just in case you aren’t into all the romantic Valentine locations – it happens! – or just looking for something different…I would recommend a visit to Disturbia’Rage of Mystery’ (Adult) and have fun. Adult rated for, I guess, the amount of horror and some horrible mutilated, bloody, mesh-statues (NPC’s), this place is a ‘game’. 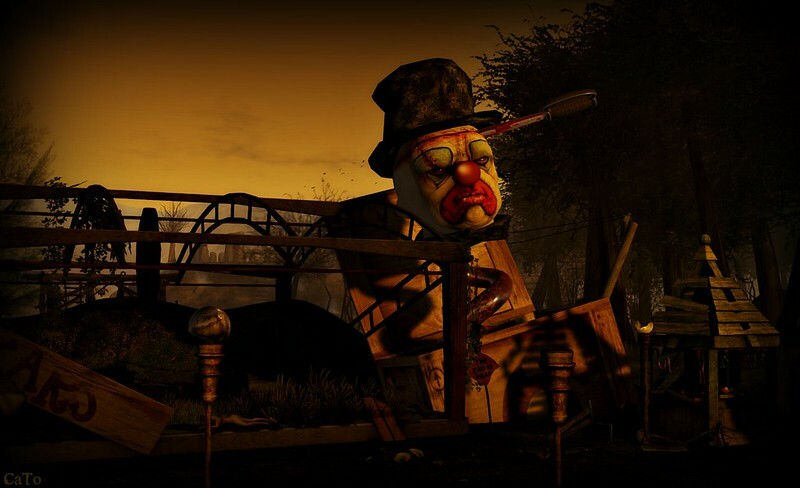 Now, I do not play games in SL, so I didn’t try it and just explored the place, which is quite cool! Gruesome scenes, but fun as well and lovely for pictures! 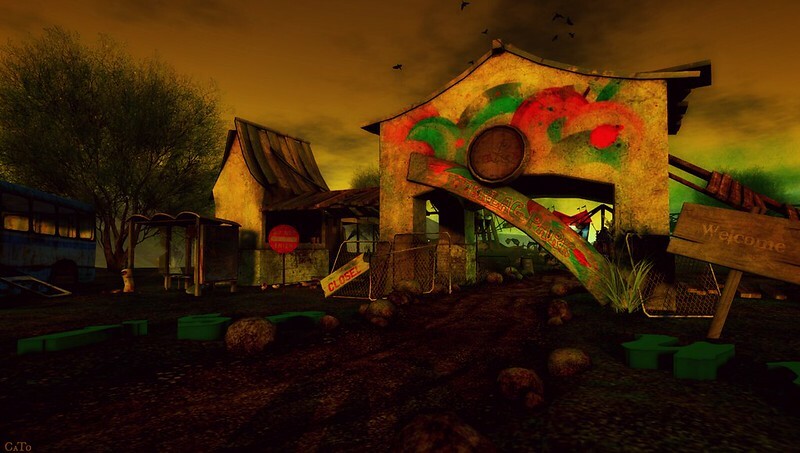 It’s like Halloween but then in February, and I know the scene of deserted carnivals/fairs isn’t really new in SL, but it is still great! If you are into playing games, you may want to give it a go – otherwise…oh ..just go there and see something cool! Have fun and don’t be disturbed, I have warned you!